They also had 2 RS-232 Serial Ports, 1 Parallel Port and 4 Expansion Slots. Email me if you have one to pass along. 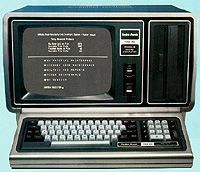 The TRS-80 Model II Page.